Want lots of unique female dog names? 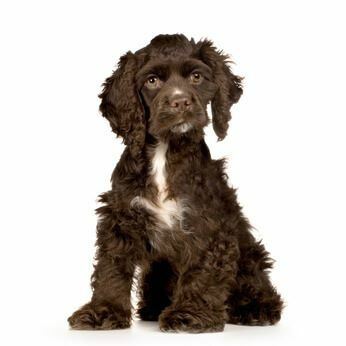 You'll find hundreds of cute puppy girl names in our comprehensive database to help you find the perfect puppy name for your new Cocker Spaniel! When it comes to choosing unique female dog names, there aren't any rules set in tablets of stone, but there are one or two things you might like to bear in mind before making your decision. You want to call me what? However, if you'd rather jump straight to our puppy names, just click on the link. You might like to try matching her name to her personality. For example, if she's easily excitable, why not name her Trigger, or if she's particularly partial to her treats, what about calling her Munchkin? If she has any particularly endearing characteristics, (and I'm sure she does) perhaps these could help stimulate ideas for suitable names? For example, if your puppy loves affection and enjoys being stroked, (and have you ever heard of a Cocker Spaniel that doesn't enjoy being petted?) then why not call her Cuddles? Why not consider a soft, gentle-sounding name for your puppy girl; something that sounds feminine, like Persia, Rosebud, Whisper, Purdy or Crystal. Her coat color and texture may help you, for example, if your puppy is a coffee color, why not call her Cappuccino, Chocolate, or Cocoa? If her coat is the texture of silk, what about Silky, Satin, or Cashmere? Your puppy's coat may be thick and there may be lots of it, in which case Fuzzy, Furball, or Foxy, might suit her. You could also consider naming your dog after her size; Tiny, Tinkerbell, or even Pudding if she's a little on the heavy side! As much as I'd like to, I can't choose your puppy's name for you, so may I suggest you put the kettle on, make yourself your favorite drink, and then take a leisurely browse through the puppy names below until you find the perfect one for your Cocker Spaniel? Other Titles You Might Enjoy! Cute Puppy Names for Girls!